Life Forms on Google Plus. Title: Life Forms on Google Plus. Google Plus "About" page written in first person, Google Plus posts written in first person: Humans. Google Plus "About" page written in first person, Google Plus posts written in third person: Klingons. 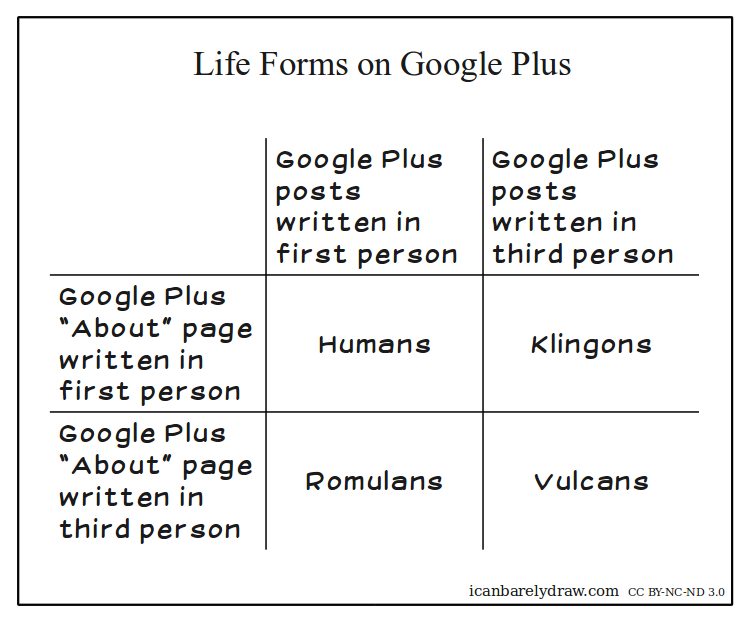 Google Plus "About" page written in third person, Google Plus posts written in first person: Romulans..
Google Plus "About" page written in third person, Google Plus posts written in third person: Vulcans.